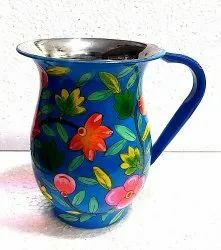 Fine Decorative Steel Painted Jug Available In Different Designs & Sizes. - Upgrade Glass jugs to Copper steel jugs: Replace steel Kitchenware with this stylish and elegant copper steel jug to enjoy health benefits of copper. This jug has steel on the outside and copper inside. This is good for tableware and refrigeration. We are providing the first class range of Steel Minar Mug. These are made by expert’s team who has affluent industry expertise and practice. 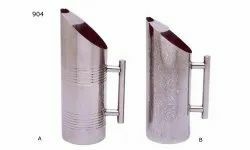 As a quality focused firm, we are engaged in offering a high quality range of Steel Copper Luxury Jug. Set Of: 8 Pc . - HELPS IN PREGNANCY For Pregnant Women, having a glass of copper pot water is extremely essential. Pregnant women need copper as it helps in the formation of the unborn child's heart, blood vessels, skeletal and nervous system.